The armoured command vehicle version, the Panzerbefehlswagen (PzBefWg) Panther, was produced by keeping the basic design and making minor changes to fit the additional radio equipment. The stowage for the main gun ammunition was reduced to 64 rounds because the additional radio sets and the associated GG 400/12 generator required significant space. Also, the coaxial machine gun and mounting were removed and the aperture in the mantlet was closed with a welded plug. In addition, in the Ausf. A, the auxiliary turret travese mechanism for the loader was deleted. The Sd.Kfz. 267 was equipped with a FuG 8 and a FuG 5. The vehicle can be identified by the Antennenfuß No1 in the centre of the engine deck. The antenna was housed in an armoured cylinder, the so-called Panzertopf. On this device the Sternantenne D for FuG 8 was mounted. 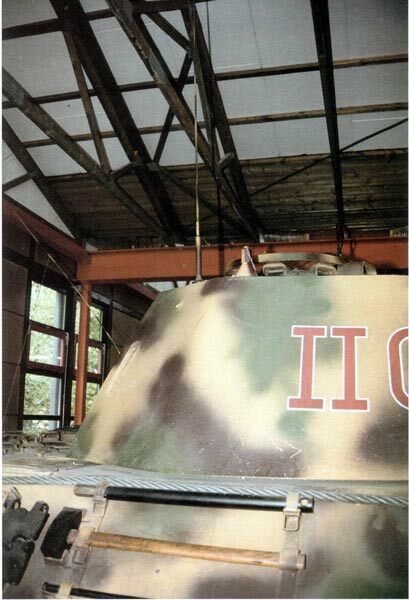 The 2 m Stabantenne for the FuG 5 was mounted on the rear turret roof on the right hand side. The Sd.Kfz. 268 was equipped with a FuG 7 and a FuG 5. 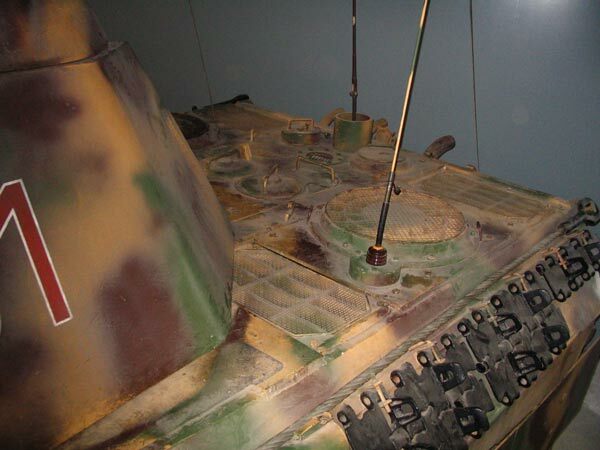 This variant can be recognized of the 1.4 m antenna at the rear and the 2 m antenna on the turret roof. This type is described sometimes as an Air Liaison Officer Vehicle. Furthermore on many, (why not all?) PzBefWg Panther, three pipes and brackets to stow the additional Steckmastrohre, extension masts, can be seen beneath the gun-cleaning rod housing. These vehicles equipped mobile Headquarters of the Panzer Divisions right down to battalion level. The purpose of the equipment was to allow the units to keep in radio contact with higher commands over long distances. A total of 400 armoured command vehicle versions were produced, and about 40 of them as Sd.Kfz. 268. According to "Nachrichten der Panzertruppe", issued April 1944, by the "Generalinspekteur der Panzertruppe" there were two Sd.Kfz. 267 and one Sd.Kfz. 268 at the Regimental HQ and also at the HQs of the Abteilungen.